I ended up accidentally taking my RGB subs in the wrong place, so this is a strange crop. But I think it worked ok in the end. The Cone nebula is a hydrogen emission region in Monoceros (east of Orion). The cluster of hot O and B class stars surrounding it have carved it’s features and cause the reflection nebula to the right of the cone. 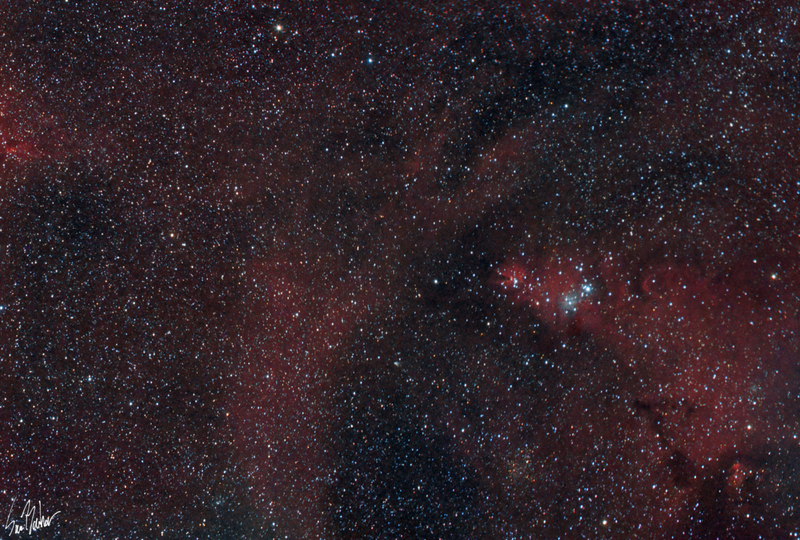 NGC 2251 is the orange star cluster to the bottom, quite old and most likely unrelated to the nebula. Hubble’s Variable nebula can be seen below and to the left of the cone.